Battling Global Extremism: What Next? Nearly twenty years after 9/11, extremist ideologies have survived global counterterrorism efforts. What have we learned from the response, and what new approaches are needed? Tony Blair, Farah Pandith, and Bruce Hoffman discuss challenges in the global response to extremism to date and the evolution in approach necessary to overcome terrorist threats. GJELTEN: Good morning and welcome to the Council on Foreign Relations. I’m Tom Gjelten from NPR News. And if you’ve been here before you know this is the time when we remind you to turn off your cellphones because they can disrupt our discussion and also interfere electronically. Today’s topic is “Battling Global Extremism: What’s Next?” Seventeen years ago this morning, what remained of the World Trade Center towers was still smoking and bodies were still being pulled from the rubble. 9/11 marked a turning point certainly for the United States and also for the world. A new phrase entered our language: the war on terror. At first we interpreted it conventionally. We fought wars the old-fashioned way in Afghanistan and Iraq. But it soon became clear this is not a conventional war. It’s a war against violent extremism. And fighting that is a more challenging prospect. My attention was caught this week by a story in The New York Times, noting that the Islamic State has lost all but one percent of the territory it once held in Iraq and Syria. But the reporter quoted intelligence officials saying: ISIS is believed to have as many fighters as ever. What is it that drives young men to sign up? And how can we counter the appeal of extremism? 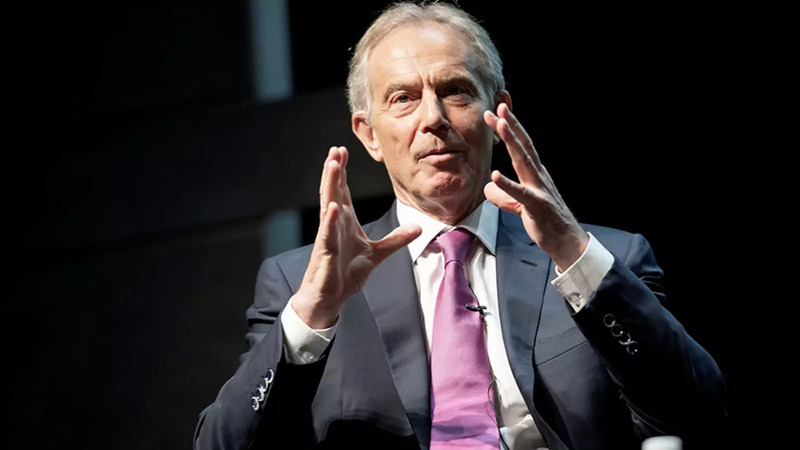 The Institute for Global Change, under the leadership of the distinguished Tony Blair, has a new report that sheds some light on that question. He’s here to introduce it. After his remarks, Farah Pandith and Bruce Hoffman will join us for some a panel discussion. BLAIR: Thank you very much. Thank you very much, indeed. I think I take that introduction as a compliment. (Laughter.) But—so good morning, everyone. It’s a real pleasure and honor to be here in the Council on Foreign Relations. And it’s not a particularly cheery topic for this early in the morning, but I’m very grateful for the hosting of the meeting and giving me a chance to introduce the work that my institute does in this area, and the report that we’re publishing today, which is essentially a report that tracks the incidents of violence across the world and does so in a rather different and much more granular way than previous reports. And I’ll say something about the details of that in a moment. Dr. Emman El-Badawy, whose also with us this morning, leads the team at my institute and developed not just the report, but the methodology of compiling it. And to say right from the very outset, the thing that my institute concentrates on in this area is how do you battle the ideas around the violence and not just the violence itself. And the essence of my message today is to say: When you look at the scale and scope of this problem, without combatting the ideology, the ideas, you’ll never defeat the extremism. So this is—this is a report that shows what happened in 2017, as has just been referenced. It’s true that in 2018 some of those things have somewhat abated because the footprint of ISIS is Syria and Iraq has been radically constrained. But as also just been pointed out, the large numbers of potential fighters who are still there and still in the area. And one of the things that we discovered—because part of this report tracks the development of the violence over decades and not just over the last seventeen years—part of what you find is when the problem is dealt with in one area, it very soon reappears in another. What the—what we call the Global Extremism Monitor shows are the following basic headlines. There are now 120 groups operating across the world. They all roughly adhere to the same ideology. Security measures obviously have in many ways been effective and must remain in place. But the reality is, security alone will only slow the violence. The extremism in 2017, who killed over twenty thousand civilians, ten thousand security force personnel, and over three thousand nonstate actors. In total, around eighty-four thousand people in sixty-six countries died during the year of 2017 because of this problem. There was something in the region of almost eight thousand attacks in forty-eight countries, and then related countermeasures in a total of sixty-six. Also, one other thing that is interesting is that because of the way we compile this information, we’re able to get beneath some of the headline numbers. The deployment of women on the battlefield shows violent Islamist groups adapting and strategically shifting their principles in favor of operational gains. So this is a problem that, frankly, shows no signs of abating. Indeed, in some respects its global and growing. And the important thing is that it didn’t begin with al-Qaida, nor will it end with the defeat of ISIS. It’s a global movement driven by guiding transnational religious political ideology. These 120 groups operating across the world are all actively engaged in this violence and all essentially adhere to the same ideology. And the reason why it’s so important to focus on the ideas and the roots of this violence is that presently the world collectively spends hundreds of billions of dollars every year on additional security—airports, protection, counterterrorism. It spends a small fraction of that on soft power measures that tackle the underlying ideology. And therefore, a security approach is important to address public concerns, but ultimately it will never succeed on its own. Security’s got to be complemented by other measures, not just at the state level but also, I would suggest, multilaterally. Unless there’s a global will to meet the depth of the challenge, the ideology behind this violence, the ideology of Islamism will grow and, with it, the violence. What the report does—and I know there are copies that you have before you—is it doesn’t just list the number of attacks and show in what parts of the world they appear. It tries to go beneath those headline figures and look, for example, at locations, who are the targets—was it a school, was it a mosque, was it a street market? It looks at the nature of the victims—civilian or security? The method of attack—suicide bombing, IEDs? The motives—sometimes there are mixed motives. Sometimes they may be, pure, if you like, ISIS or al-Qaida ideology. But in other times you will find local conflicts being drawn into—drawn into the violent extremism. And then we looked specifically also at the gender of those perpetrating the attacks, to see how the modus operandi of terrorist groups is shifting. And we also list the failed attacks, as well as those that tragically succeed. What we want to do in time is to build this monitor up even further so that, for example, we’re able to map on extra layers of data onto the data we have at the moment. So for example, we would be able to look at whether the location of attacks is shifting and what, for example, is the local situation in terms of mosques or schools, other types of messaging that are being applied in certain areas. And that is then provoking and encouraging the violence. And what is the relationship, for example, between migration flows and the spread of terrorism? And then we look also at the spending. You know, one of the things we kind of take for granted, perfectly naturally and rightly, is the amount of money, for example, spent here on just basic airport security amounts to billions of dollars every year. Since 9/11, homeland security spending is over half a trillion. And just to give you interesting examples actually from over my side of the water, the recent measures that France put in place to secure Eiffel Tower, which is roughly 35 million euros, is actually more than is spent there on the anti-radicalization programs in local communities. The London Olympics, the security was about a billion pounds. That’s actually more than Britain has spent on its prevent programs over all the accumulated years since 9/11. And royal wedding recently—which I think some of you here may have noticed—(laughter)—the security that—around that, perfectly rightly by the way—was around about 30 million pounds. That’s only 10 million pounds less than is spent in the same year on the whole of the prevent program. So, you know, when we look at the hard power measures—that are obviously necessary, don’t misunderstand me—we need to fight this and we need to be prepared to deploy the necessary security measures. But when we look at the disequilibrium, in the imbalance between what we spend on dealing with the consequences of the problem and what we spend on trying to prevent it, I think that misalignment is very, very clear. And it’s something we need to change—and change radically and fast. We make a number of suggestions, and I want to run through them very quickly, as to what might be done to change this situation. I have been trying for a long period of time—and I actually thought I had succeeded in finding a champion on the British government under Prime Minister David Cameron. Just about secured the agreement in June 2016, when something else happened. But this was, for an idea that I think is absolutely essential—although it seems, you might think, is it really possible to do this—I would like to see a global commitment on education systems where governments come together and agree that they will root out cultural prejudice and promote cultural tolerance within their education systems. The truth is right round the world today there are millions—literally millions—of young children who are educated in a narrow way to a close-minded view of the world that ultimately regards those who are different as the enemy. This is—if we allow this to proliferate and continue, it is a matter of reason, I think, that a proportion of those, if they’re educated in that very narrow way—not taught creative thinking, but taught by rote, religious principles often underpinned by doctrine of a very hardline nature—if there are millions of young people taught in this way, it’s not surprising if a portion of them go on to extremism and then to violence. So sometimes people say to me, yes, but you know, why—how can you interfere with another country’s education system? My answer to this is on the environment the world has come together—well, by and large—(laughter)—the world has come together and accepts that what happens within your boundaries is not just your business, because if you’re polluting you’re also causing problems to others. I think the pollution of the mind is also important. And I—in the discussions I have with leaders in majority-Muslim countries, I actually think for many of them reforming their education systems is something they want to do and are committed to doing, and I think it would be easier for them to do it if it was part of a global commitment in the same way, frankly, as on the environment. If you remember, when it first started many countries didn’t join. Many countries were actively hostile. But over time it became accepted as part of your global responsibility that you took measures to reduce pollution. It should be the same with education, in my view. Secondly, I think we should invest far more vigorously and deeply in civic society, in movements to counter the messaging of extremism, but also to engage particularly in the West with young Muslim members of the community. If you look certainly over our way in the U.K., elsewhere in Europe, there is a risk that those under the age of thirty are growing up with a view of the world that is often intrinsically hostile to the host community. This has got to be countered. There’s got to be a way of ensuring that those young Muslim people feel part of the community, do not feel alienated from it, and are able to play their full part as proper citizens. Thirdly, we need to build alliances across the world. I mean, one of the things I think is really important in the West is to understand how the debate is changing in the East. I mean, I spend a huge amount of time out in the Middle East, and I would say that there is a real acknowledgement there amongst the new generation of leadership that this is a collective problem, that it has to be dealt with together. And I think there is the possibility today in a way there wouldn’t have been, frankly, at the time of 9/11 to build an alliance of I would call the openminded against the closeminded. And that is, in the end, an important point of principle. The truth is the extremism is based on a perversion of Islam. It’s based on an abuse of religion. And this is not, as the terrorists like to say and, indeed, as some people even in our own communities have come to say, about the West versus Islam; it’s actually about those who believe in a tolerant view of the world versus those who don’t. And finally, I think there is an urgent necessity now to invest in fragile states where extremism and terrorism may take root, is taking root, and will generate the next levels and generation of extremism and violence. In the work that I do elsewhere in my institute in Africa, particularly where we have projects across Africa working with countries to help them develop, I would say in the northern part of sub-Saharan Africa, along with the obvious issues to do with development, I think the issues to do with radicalization and extremism are probably the single biggest threat that these countries have. And if you look at, for example, the Sahel group of countries in Africa at the moment, you have a combination of poor institutions, poverty, exploding populations, and radicalization. It would be sensible and wise to invest dollars now to help those countries build the resilience and the capacity to develop properly and to deal with these problems within their society. So I think there is, if you like, a soft-power agenda around education, around diplomacy, around civic society, around helping fragile states, that has to assume a much greater importance in the debate than simply the measures that focus on terrorism and violence. If we don’t do this, then I think we will face a situation where, even as we deal with one group, another group is somewhere else starting and proliferating. So the essential thing, in my view, is to deal with the ideology and not just the violence. And the final point I’d make is this. You know, obviously, I was in office on 9/11 and afterwards heavily involved in all the decisions that were taken in Afghanistan, Iraq, and so on. I think my reflection now, and spending time outside of office as well as reflecting back on my time as prime minister, is that we really need with this problem to have a different rhythm of thinking. This is a problem that has actually grown up over a long period of time. As I said, it didn’t begin with al-Qaida and 9/11, and it’s not going to end with the defeat of ISIS in Syria. The rhythm of thinking, in my view, has to be much more akin to how we fought revolutionary communism. And that is over a long period of time with security measures and measures of defense in place, but in the end recognizing that the reason why the Soviet Union collapsed was not security alone, but a better idea. And the better idea is peaceful coexistence. And we need to promote that better idea and confront the ideas behind the extremism, as well as deal with its manifestation, which is in the violence and the terror. GJELTEN: Well, thank you very much, Mr. Blair. It’s clear that since leaving office you have invested a lot of time and work in this area, and you and your institute deserve a lot of credit for the leadership you have shown in addressing these issues. And let me begin by introducing my fellow panelists here. First, to my right is Bruce Hoffman, who’s one of the country’s leading experts on terrorism, fortunately here now a fellow at the Council on Foreign Relations. But Bruce has been—studied terrorism from almost every vantage point, from the Central Intelligence Agency to the 9/11 Commission, as an academic at Georgetown and Oxford. Bruce Hoffman. And to Bruce’s right Farah Pandith, who has herself a distinguished record of working on the very issues of countering extremism that Mr. Blair has been discussing. I think most importantly Farah served as the first-ever representative—special envoy to Muslim communities, both in the Bush administration and in the Obama administration. Unfortunately, Frances Townsend, who was supposed to be with us this morning, had a death in her family and was not able to join us. But Bruce has ably filled in. Before I turn to Farah and Bruce, Mr. Blair, you ended your presentation with some recommendations of what needs to be done. Do you care to sort of grade or assess how governments—our government, as well as governments in the West—have responded to this challenge? And how do you feel about the way that they are sort of recognizing and dealing with it? We have, as you very well know, sort of a wave of nationalism sweeping across not just this country, but across Europe. What does that—what has that meant for the responses of governments to this problem? BLAIR: I think it’s—you know, one of the things you learn when you stop being prime minister is it’s a lot easier to give the advice than to do the job. (Laughter.) So I say this with a certain humility. But part of the problem is that, frankly, for any government, if there’s acts of terrorism that are either happening or being planned, then the focus of your society and your media is such that you’re going to put that as the number-one priority. And some of these things by their nature, they’re longer term; you know, they take—and they take a much more, I would say, in one sense a deeper, but also it’s much less impactful in terms of media—the media environment to take these actions. And so I would say, no, right now I think the West has not really woken up to this aspect properly, as you can say really by the spend. And I think there is a risk for this agenda if countries feel, look, we don’t need to cooperate with others, we’ll look after ourselves, because actually in the end it is a—I mean, the purpose of this is to show it’s a global phenomenon and it’s a global ideology, and therefore you’re going to need to take multilateral action. Now, one thing that was interesting to me is, for example, when I saw Matteo Salvini in Italy a few days ago, he was actually interested from the Italian perspective, even though he would be very much on you might say the nationalist side of the argument, but he was very interested in the importance of investing in Northern Africa in order to prevent what will be for Europe, by the way, the next wave of migration, and potentially with it the next wave of security problems. So I think it’s possible to do this, but it requires kind of global leadership. So I would say no, right now we’re not where we need to be. Which is one of the reasons why we do what we do from my institute, because in every area of institute work we do things but we also try and change global policy. And by the way, just to say we have education programs in about thirty different countries where we link up young people of different faiths with each other. And it’s fascinating because you understand what the problem is. So you will have a school out in the Middle East talking to a school in America and someone will say: Is it possible to be a Muslim in America? People don’t know. You know, never underestimate the degree to which, you know, parts of the world don’t talk to each other. GJELTEN: Farah, a follow up to that question for you. We were talking before. Farah, as I said, was special envoy to Muslim communities in two administrations. And you were saying that that position is now vacant or doesn’t even exist anymore. What is the alternative, kind of the flipside to the question for Mr. Blair? If governments are not fulfilling this role, taking this leadership role, what—who else can play it? PANDITH: It’s a really important question. And I want to, first of all, say that many of the themes that you outlined in your remarks today are spot on and it’s exactly what we have been talking about. And the term “soft power,” we have many levels to this, but the piece around ideology and specifically the kind of ideology that is attacking young Muslims under the age of thirty is the specificity which we have to really sort of drill down farther than we as government have done and civil society has done. For those of us who have been working in this space since the sobering attacks on 9/11 almost twenty years ago now, we know one thing that connects. You talked about a global ideology, and that is that for young Muslims under the age of thirty, whether they’re Millennials or they’re Generation Z, the issue of identity is the central piece of this. And if you don’t understand what’s happening to Muslim youth, if you don’t understand the navigation of identity in their specific communities, you can’t expect to see change. So when I look at governments, it’s not about the position of the special representative to Muslim communities. It’s not about, necessarily, who’s doing it in the government. It’s the decision that a government makes that soft power has to be side by side with hard power, and that you cannot influence behavioral change on a generation that is—by the way, there are a billion Muslims under the age of thirty globally right now. That’s the demographic from which a group like ISIS or others are recruiting. These are digital natives. These are folks that are learning ideas not just from their—what’s happening in their home, by all the touchpoints. And when Mr. Blair was talking about sort of this comprehensive approach, how we think about this globally, it’s the many touchpoints that we have to think about. And so when I, Tom, think about what needs to happen in this space around government, we do, in fact, need at least one government to take the lead and say we’re going to go all in, which we have not done. We’re going to put the money behind this to actually demonstrate that everything that we’ve learned in almost twenty years can be deployed in an effective way. And, thirdly, we’re going to scale the things we already know. And so I come out on this with almost twenty years since 9/11 the solutions are available and affordable. No government on Earth has scaled them, and shame on all of us. So where does that leave us? It leaves us with two important points. The first is one of the things we know is that government can be the convener and the facilitator and the intellectual partner with the ideas that we hear on the ground because the most authentic voices for Muslim youth who are talking about their identity is not what’s happening from government, but what their peers are saying. So how do we lift up what’s happening at civil society with authentic voices that make a difference, first? And, second of all, where the heck is the private sector? Because this solution, going all in, can’t just be a government response. It has to be government. It has to be civil society. And the private sector needs to understand that the demographic of Millennials and Generation Z are in their sweet spot for understanding the bottom line for their own companies. And many people scratch their heads and they say, X company isn’t interested in what’s happening on Muslim youth. I want to tell you behavioral change will make a difference to the bottom line for these companies. And so where I come out on all of this is, while I would like to see our government—the United States government do far more in soft power, and certainly some of our partners and allies in other parts of the world do more, I would also like to see leadership by the private sector and the financial support to NGOs that actually are doing the work on the ground that can actually make a difference for this generation. Bruce, as someone who has studied terrorism for as many years as you have, I’m curious what your thoughts are particularly this week that we’re commemorating 9/11 how the terrorist threat has evolved over these last seventeen years. How is it different now from what it appeared to be right after 9/11? We’ve been talking about the challenge of confronting the ideology, but I was caught also by what Mr. Blair said at the end about the importance of investing in fragile states, which raises the issue of governance in addition to education and ideology. How do you see the challenge evolving now over these last seventeen years? HOFFMAN: Well, the report that the prime minister gave us an outline of I think really underscores that. I mean, the stark truth: What we’re doing isn’t working. When you talk about this vast increase in the number of terrorists—and it’s not just the prime minister’s institute that has charted this. A report this week from CSIS notes that there’s been a 285 percent increase in the number of Salafi jihadi terrorists since 9/11/2001. There’s been 185 percent increase in the number of groups. So I think, just as the report points out, security/countermeasures/kinetics have an absolutely vital role, but they can only slow this. To actually break the cycle of recruitment and regeneration that is sustaining these groups, you have to target—you have to target exactly the things that the prime minister and Farah have described: education, countering the falsehoods, and of course building local leadership. The problem is none of those categories are amenable to the kinds of metrics that we like to see in the war on terrorism. We like to see the number of high-value targets that we’ve eliminated, either by death or by grabbing them. All that is important, but that is just sort of holding back the tide. And I think we’re at an enormously dangerous spot now where the ongoing wars on terrorism are having a corrosive impact on all of our societies. They’re causing profound polarization. They’re leading to the demonization of certain groups within societies. They’re giving rise to nativism and populism. So apart from the greater good that the prime minister and Farah have talked about, the soft side has to receive the attention that it’s often been neglected. It’s absolutely vital because terrorism is—this ongoing war on terrorism is fundamentally damaging and corroding a lot of our values. GJELTEN: Would you say the agenda of these extremist groups is less global than it was seventeen years ago and more local? HOFFMAN: Well, I think they are the consummate opportunists and probably cynics. They veer between local and global as it—as it suits their constituencies. But you’re absolutely right. What we have seen in recent years—and this, I think, accounts for part of ISIS’s success—is that they’ve been very good at harnessing and in turn exploiting local grievances, bringing them into their globalist ideology. And actually, al-Qaida’s doing exactly the same thing. Whereas al-Qaida a decade or so ago was all about the global struggle and the far enemy, it now I think, from its own perspective in order to maintain its relevance such as it is and vitality, again, such as it is, it panders to very local grievances and deliberately—they’re doing a better job of it than we are. They are including the local leaders from their franchises in al-Qaida’s decision-making process. This is something that reverses the very top-down, hierarchical organization and Bin Laden and Al-Zawahiri once ran. Mr. Blair, Bruce mentioned the—sort of the attractiveness of metrics that result from the use of hard power. What kind of thought have you and your institute given to sort of alternative metrics that reflect the impact of soft-power strategies? BLAIR: Yeah, it’s a really good question. One of the things we’re looking at is, how do you—I mean, how do you, for example, track some of the ideological messaging? You know, how do you see what certain people are doing? For example, we did a report about a year ago about correlating certain individual preachers with the growth of terrorism. But I think we could do much, much more, for example, to see why is it that in a particular area—and you can see this particularly around, for example, what’s happening with Boko Haram and Niger, Cameroon, and so on—why is it in particular areas you’re getting a surge in terrorism. Is there—you know, is there something happening locally? Have people come in locally that are spreading this message? What’s the state of the education system there? So in the end the idea we want to get to with this monitor is to sophisticate it by putting layers of data that have much more to do with the spread of ideas. And, you know, I think the other thing is that one of the things we’ve done is we—you can see, for example, in northern Nigeria there are certain parts of the school system that are plainly subject to radicalization. You can see the same in parts of Pakistan and so on. But actually, one of the things that’s really strange—and maybe the CIA or MI6 or whoever has all this information—but we found it virtually impossible to get a comprehensive analysis of education systems. And, you know, it’s sort of strange to me that we haven’t—(laughs)—we haven’t invested in doing that because, you know, when you—when you look at it and you think—I mean, as Farah absolutely rightly says, you know, the young nature of the Muslim population globally, what they’re being taught is really important. What, for example, the young people in Indonesia are being taught for the future is really important. Now, you know, you hear anecdotally some stories—some good, some bad—but it’s odd that we haven’t done the proper analysis of this because surely if you’ve got a billion—there’s a billion under the age of thirty, it’s pretty important to know what they’re learning and who’s doing the teaching. GJELTEN: Farah, one more question for you and then I’m going to open it up for the audience. Mr. Blair, both in his report and in his remarks, made it clear that Islam itself is not the problem, it’s the abuse of Islam, the sort of distortion of Islam. To what extent can sort of—and I also know that a lot of the people—young men attracted to this ideology actually are not really well-rounded in their own faith, right? What role does greater religious literacy play in fighting extremism? So, you know, actually making better Muslims of these young men. PANDITH: It’s a very good question. I’m going to answer it, but I’m going to just piggyback on one thing Mr. Blair said about metrics because I think it’s very important, in the age when we are having conversations about Google and Facebook and Twitter and the impact that they have on young people’s lives, and YouTube. We are looking at many touchpoints on a young person’s life and how they understand themselves, both in the offline space and in the online space, obviously. Touchpoints can be determined and measured through algorithms that you get and we learn because you decide what kind of water you’re going to buy or what color pen you’re going to buy. Cultural listening is happening by major firms around the world to help them design campaigns to make you do things. That kind of cultural listening and behavioral acumen has not been deployed around the issue of soft power in the way that we need to. This goes to what Mr. Blair was saying about education, almost twenty years since 9/11 and we don’t have the kind of mappings and research that we should. Education is one critical piece. Let me give you another that I happen to know that we do not have. I dare anybody to tell me that you would have imagined that all these years after 9/11 that somebody in this world has a mapping of every single NGO or government in the world that is doing soft power on the space. Wouldn’t you think? We don’t have one. There isn’t one. I urge you to ask yourself why not. How do you get metrics if you don’t have the data that you can then derive things from? So, in the online space, we can measure metrics through how many clicks are on particular things. We can begin to see things. In the offline space, we can do cultural listening. Which connects me to the point that you asked about what does it mean to be Muslim and is religious literacy important. So, Tom, I’m going to push back on you just slightly because it is not just about young men; it’s also about young women. ISIS and other groups, as Bruce will tell you, have understood very smartly that it isn’t useful for them to just look at one part of the population; they need to look at everyone. So they’re looking at men and women, girls and boys, and they’re pushing forward an idea of religious awareness that is not rooted in the practice—either in a cultural place, but also in sort of the religious scholarship per se. They’re taking bits and pieces. I am not here to tell you what Islam is or how to interpret it. But I can tell you that the way in which they have been able to manipulate the religion, to say the right things to the right people in the right way, is something that we really do have to look at. And I’m going to put one more thing on the table before we open it up, because nobody has mentioned it today, which connects specifically to this issue of religious literacy. Saudi Arabia plays a very large role in the way Muslims around the world think about themselves. And this idea of us versus them, and real Islam versus non-real Islam, and sectarian shifts, and identity, has a lot to do with the way in which young kids are understanding how they should dress, what they should eat, what it means to be Muslim. And they’re getting the cues from Saudi and other parts of the Middle East that have—you brought up Indonesia—that have fundamentally changed communities that are Muslim-majority. Indonesia is the world’s—largest population of Muslims in the world. The religion of Islam, in its many forms and practices and diversity—have been expressed in Indonesia in many years, over hundreds of years—are changing because of the way digital natives are understanding the religion and their literacy about Islam. That is something you have to understand to understand how to defeat the ideology of us versus them. OK, we’re going to open it up to questions now. I’ll remind you wait for the microphone; identify yourself, your affiliation if possible. I might also point out this is the report that we’re talking about this morning. Mr. Blair, I mean, I’m assuming this can be downloaded easily somewhere off your website, or? GJELTEN: Well, you can find it. BLAIR: Yes, I’m sure it—yes. GJELTEN: Yes, ma’am. Let’s start with you. Q: Hello. My name’s Shripti Schar (ph). I head the behavioral insights practice at Deloitte, but I formerly had the privilege of serving H.M. Treasury and at the European Commission in Brussels. And it goes back to that time. In the late ’90s I had the privilege of working in Northern Ireland and running an investment program just after the Mitchell negotiations, and what had felt like a very long—decades-long intractable problem, yet we made a ton of progress on it. But even though schools were very religiously segregated at the time, there was also an overall narrative in the world at the time that we were better off together, that it wasn’t a zero-sum game, that communities prosper by others prospering. We’ve now got to a stage where, you know, trade is measured by your deficit, not by your consumer surplus, and that there’s a—and we’re getting seduced by messages online. There was no social media then that says, well, if so-and-so is better off, you’re worse off. How do we counteract that kind of prevailing narrative that has gone from, like, we’re better off together towards, like, you’re only better off if someone else is worse off? BLAIR: And thank you for what you did in the treasury and, even if I’m allowed to say this, in Brussels. (Laughter.) So—and obviously, in Northern Ireland. So I think that the—this is a very broad question but let me give you a short answer to it. I think you’ve got to build a new—a new alliance around this problem within society and between societies and countries. But I think you can only do it if you’re prepared to deal with the problem. And the biggest risk I see if we don’t deal with the questions of ideology behind the violence is that those people who want to then stigmatize the entire faith get traction in the politics. And this is really what’s happening in Europe right now. So that’s why it’s so important that you—you know, in the way that managed to do in Northern Ireland. I mean, people don’t see this in this way, but essentially what happened was that we were able to come to certain points of common understanding that started to unite the communities. And therefore, those that were trying to divide them became, themselves, isolated. Whereas before that, those who wanted to pursue violence were able to take the grievance and run with it. So this is incredibly important. And by the way, when you start to defeat the idea behind the violence, because you put in place a better idea—which in Northern Ireland was basically the Protestant-Catholic communities coming together—what then happens is the terrorists find it much, much harder to operate because they can’t melt into the community, because the community doesn’t want them and regards them as a problem. And this is—so this is why I—this has to be done, you know, within society, then globally. I think across not just Western countries, but majority-Muslim countries. And this is why I think that this—one of the reasons I think this global commitment on education can be so important is it gives people a common point of understanding. And it also, by the way, forces everyone to face up to the fact that you’re going to have to change in order to make sure that that common point of understanding is driven through your system. Because let’s be clear, you know, it’s not only in some of the countries I’ve mentioned that education systems teach a narrowminded view of the world. You know, even with our own education systems, there’s a huge amount of ignorance about other faiths, other cultures, and so on. Now, I know, for example, here in the U.S., people have said, well, because of the sensitivity of religion within your schooling system. But this isn’t about teaching people religion. It’s about teaching people open mindedness towards others. And I really think these types of programs are important. GJELTEN: We’re going to try to get to as many questions as possible. So I encourage you to keep them really succinct. And also, a reminder, this is on the record. Yes, sir. Q: John Gannon, retired CIA and now teaching at Georgetown. I’d like to expand a little bit on an issue you do touch on, and that is governance in a larger sense. Mr. Prime Minister, you comment that educational programs have real potential, I think, to have a resonance in places like the Sahel. It’s hard for me to understand how education can be dealt with effectively in a place like Mali before you deal with the corrupt, repressive, criminalized governments that would have be involved in implementing any programs that you bring there. And of course, Mali is probably a worst-case, but across the Sahel this problem of governance is pervasive. But I’d like to go to the Middle East, which is a very different region, to some extent. There, we have allies, like Egypt, which is a repressive government. And I don’t have to talk about the evidence that would demonstrate that. We’re talking about Saudi Arabia and its—and its performance in Yemen. Erdogan now and his policies with—not just with regard to the Kurds, but just general opposition. And then in Israel we’ve got an ally where now the actions against the Palestinians seem to be stronger than any time in recent history. And in the case of the Palestinian question, Arab governments may in fact celebrate that repression. Arabs in the street do not. So the potential that our own allies may be encouraging or fostering an environment in which—particularly in societies where the youth bulge that I think you have referred to, the expectations or the aspirations of youth, are essentially being crushed by governments that we support in the war on terrorism. Q: Don’t we need—this is for everybody, but I would start with the prime minister. That issue of governance, isn’t it a bigger problem than your report suggests? If I have read it correctly. BLAIR: So you know, politics operates in a context that is never perfect, as you—as you know. And you know, you can disaggregate some of those issues around what do we do, for example, about the Israeli-Palestinian thing. And that’s one of the things my institute works on, but don’t get me onto that otherwise we’re here all week. But in relation to governance in these fragile states, which is a different issue, frankly, from looking at what the Israeli government may or may not do—so my idea about the Sahel group of countries is that rather than different parts of the outside world doing different initiatives, that they—and I have these discussions here in the U.S. and in Europe. We come together and offer a partnership to those countries, which contains investment and help, alongside the demand for change and reform. And, you know, if you look at, for example, the quite successful American program, the Millennial—MCC—Challenge, right. I mean, that’s is—that sort of something for something equation I think is important because you’re never going—if these countries aren’t better governed, you’re never going to be able to deal with the problems of those countries around their education systems and so on. But, you know, again, if you think of the amount of development assistance that goes into these countries, if it was brought together behind a plan for those countries, I think it would have a much, much better chance of success. So, yeah, no, I agree that the governance is really important. And that’s one of the reasons why my institute actually works on African governance, because I think the central difference today, again, between the countries that succeed and fail today is governance, because you can import everything else. You can get the capital and you can get the technology. What you can’t import is the quality of the governance. But I think our approach has got to be, it’ll be different in different areas. And sometimes, you know, you’ll be working with governments where the question is—and this is just—you know, this is politics, I’m afraid. The question is: Are they trying to move in the right direction but it’s going to be a slow process? Or are they moving in the wrong direction? Now, you know, my view is that there are governments in the Middle East that still have huge problems attached to them, but nonetheless their leadership is trying to move in the right direction. You should be getting behind that and encouraging it. But for those African countries that are fragile—what we call fragile states, I think the only thing that’s going to work is something that’s much more like a deal rather than like a kind of outside traditional aid and development intervention. GJELTEN: Bruce, do you have a quick one on that? HOFFMAN: Well, I was thinking in respect to John’s question, the complexity of this, is that a country like Tunisia, which is one of the only countries in North Africa to come out of the Arab Spring in any reasonable state, has disproportionately, to its population, provided the largest numbers of recruits for ISIS. So, you know, I think that underscores how difficult this is. But I think the point I would make is that what we often I think get wrong in countering terrorism is the sequencing of things. What struck me in the report is that the fragile states is what has created the sanctuaries and safe havens that has attracted terrorists and has infused at least new capabilities into ISIS and al-Qaida. So starting with them I think is the most important. But your point is absolutely right. When you think about it, it’s all reduced to Frantz Fanon and The Wretched of the Earth, and the idea that violence is cathartic, that it’s the only answer, and that therefore it has to be embraced. So obviously giving people alternatives to repressive regimes is absolutely pivotal in taking—let’s say, taking on the second phase of this. Q: David Ensor, George Washington University. Mr. Blair and other members of the panel, the importance of Saudi Arabia in Islam was mentioned earlier. I’d be interested in if you were able to advise the crown prince in this area, what would you suggest Saudi policy become? GJELTEN: Briefly, and then I’m going to give someone else a chance, yeah. BLAIR: So I think what is important about Mohammed bin Salman is that he does, I think, understand in a way that I’ve—because I do work closely with the Saudi government—I think it’s important to recognize that he understands that he’s not going to get a modern economy unless there is a modern society, and that this turning of the religion of Islam into a kind of quasi-totalitarian ideology is a profound mistake. And it’s very interesting, if you have the conversation with the Saudi today, you know, for all the challenges and problems which, you know, we can all list, they recognize that their response after the 1979 Iranian Revolution was the opposite of what it should have been and that, you know, the other event that I think has got huge significance that we don’t really study as we should is the storming of Mecca. And what came out of it, which was the putting down of the rebellion—but what came out of it was a belief that Saudi Arabia should foreclose the possibility of a Sunni version of, you know, a revolution, by moving to a much more conservative set of views around religion and the role in society. And the recognition by this leadership that that was a mistake, I think, is really, really profoundly important. So I’m not saying there aren’t big challenges ahead, but what happens in Saudi Arabia, I would literally say there is nothing more important in the long-term analysis and solution of this problem than to make sure that that modernization program succeeds. PANDITH: Yeah, I have many things to say, but I will give you four, OK? (Laughter.) The first is—the first is that he has said in his Vision 2030 that in fact the past—as Mr. Blair just said, the past is not what we are. We want to have a more modern, normal view of Islam. That’s really helpful—which means that he needs to make sure that no funding leaves the kingdom that is supporting any kind of institution, whether it is a school, a cultural organization or otherwise that promotes an us versus them. Secondly, the eradication of cultural sites around the world that has been promoted by the Kingdom of Saudi Arabia for almost sixty years—fifty, sixty years now has been—you can see it in what ISIS did. How does a young person understand the diversity of Islam? They need to see the diversity of Islam around them. We have seen a whitewashing of the diversity of Islam over history. So cultural sites need to come back. They’ve done it in the kingdom; they need—they are beginning to—OK, I can go on, but there you go. Third, the Hajj is the industry that is—that they are looking at as the next cash cow obviously, and with the modern era today, the numbers of people going to the Hajj every year have shifted dramatically. They have a tremendous opportunity to do the right thing around honoring every kind of Muslim, so they need to change the way they talk about Islam, how they respect Islam and the people that come to the Hajj. And fourthly—and this is really, really critical—they’ve opened up, as you know, last year when—the picture of the president with a hand on an orb—that new center, it’s called the Etidal Center, which is working on soft power. They’re doing counter-messaging. I think, if done in the right way, that center could use global influence, because they have a lot of money in that center to do the right thing. And I think that he has a moment in time to do the right thing. And the time is now. Q: Nomo Oku (ph). I’m from the World Bank. GJELTEN: Speak up just a bit? Q: My name is Nomo Oku (ph) and I’m from the World Bank. My question to you, Mr. Blair, is a number of African countries, especially under the auspices of the AU, have been touting something they’ve called homegrown solutions to their specific problems. And when you contextualize, for example, the Nigerian civil war—following the Nigerian civil war in the early ’70s, a civil war that was quite brutal, where starvation was a documented war strategy, Nigeria set up what it called unity schools across the country in all the different states. And the results of those schools—educations—the education was quite incredible and easy to see. Kids from the Muslim north and the south all went to school together. And also, actually, there were—those kids also educated kids who were coming from southern west Africa, given the kind of extremism that was going on around that time, in the early ’70s to the ’80s. And my question is, today’s Nigeria’s education expenditure, as you’ve mentioned, you know, it’s really—about, I think, less than one percent of its GDP. A lot of countries are more interested in infrastructure investment, partly because of the election cycle. They’re interested in investments that show results. How do we convince governments that the human capital project, in a sense, that something like education is worth investing in, when they realize that what they need to show in the short term, in order to win elections, is actually investments in infrastructure? GJELTEN: That’s a great question. Do you want to? BLAIR: Sure. So we spend a lot of time with governments trying to get them to make education the priority it should be. And I think even for what’s spent, a lot of the education’s really inefficient. And what happens, by the way, when the public, state education system is inefficient, is that people turn to alternative methods of learning. And one of the tragedies for Nigeria is—I mean, I remember when I first came to office and President Obasanjo saying to me, you know, Nigeria was a model of interreligious harmony, which obviously, tragically, you couldn’t say today. I think this is why you need something that is a forcing mechanism. I mean, what I learned in politics is if you want governments to change, you’ve got to have some forcing mechanism, something that’s either a magnet pulling towards a position or something behind that’s pushing them towards a position. I mean, if you look at—if you look at the big change that’s happened in the way countries are governed, then probably the biggest change in recent years has been actually the development of Eastern Europe because of the desire to get into and then be part of the European Union. Now, it’s not very fashionable to say this, at least nowadays. (Laughter.) But that was because people had something to aim for. And one of the reasons why I think it’s so important that we take this education issue and make it sort of globally relevant is that then that can start, for example, with the aid community saying, look, we’ll put money into education, but here at the changes that are necessary, because—you know, we know at the moment what happens in Africa is people think the most important thing is to just enroll more kids in school. So their numbers go up of enrollment, but actually they’re not being taught nothing. And, you know, what we find in the countries we work in sometimes the teachers don’t turn up. Or, you know, when the kids actually want the right grades there’s all sorts of corruption that goes on and so forth. So I think this will really—I mean, countries, of course, if they’re looking at their long term realize there’s no way they can develop without investing in human capital. But I think the only thing that’s going to work at the speed we require it to work is if it’s regarded as something that is—as it were, it’s got a—it’s got an actual global push behind it. It’s—you start to create a much more coherent position from the outside world as to what they invest in and support. And it starts to become, for governments and political leaders, saying: We’re acting on this issue. And, you know, I just say to you that there’s not a politician in Europe today, even from some of these far-right parties—and a little different here—but even from some of these far-right parties, who doesn’t say: We’re going to take our obligations on the environment seriously, right? Even though that’s a long-term issue, because we’ve changed the political dynamics around the question. And that’s what we got to do on education. GJELTEN: I think we have to wrap it up now. And it just occurred to me as you were speaking, Mr. Blair, that one country that we haven’t talked about at all this morning is China. There’s been a sort of unspoken assumption here that what matters is what the United States and other Western countries do. But particularly if you talk about Africa and investments in Africa, what China chooses to do there is extreme important as well. We have a policy here at the Council on Foreign Relations of wrapping up these meetings when we say we’re going to wrap them up. So I’m afraid we’re going to have to close it now. But thank you very much for coming, Mr. Blair. That was a—it’s a very important presentation. (Applause.) And thanks as well to Farah Pandith and Bruce Hoffman.